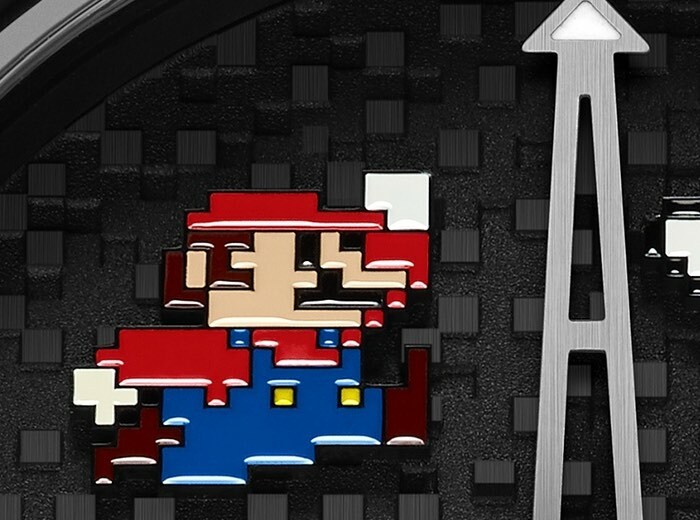 Super Mario fans are sure to like this new limited edition Romain Jerome Super Mario Bros Watch that has been under development for the last year and unveiled this week, and is now available to purchase price at a hefty $18,950. 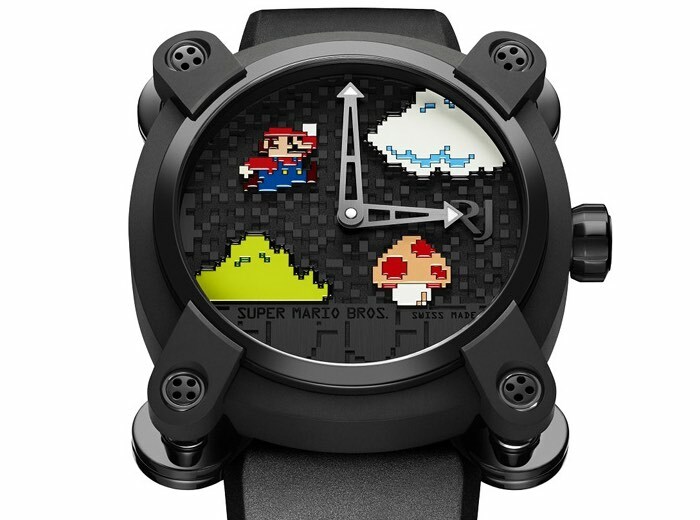 The limited edition Romain Jerome Super Mario Bros. has been created to celebrate the 30th anniversary of Super Mario Bros. game on the Nintendo Entertainment System games console which first launched back in 1995. Check out the video below to learn more about the 30th anniversary and see what fans have created. The A Blog to Watch writes a littler more after seeing the watch. When I laid eyes on the Romain Jerome Super Mario Bros. timepiece, I smiled widely, knowing that Romain Jerome hit my heart in a sweet spot and that I liked the timepiece more than I knew my conservative self wanted to admit. Could I see myself seriously wearing a timepiece that featured an important icon from my childhood? A representation of such a seminal part of my personality development? Yes, I think that I could totally rock this timepiece and pull it off well. For more information on the new limited edition Romain Jerome Super Mario Bros Watch jump over to the official Romain Jerome website for details via the link below.